Dutch manufacturer DAF Trucks broke all records in 2018. Thanks to a historically high market share of 16.6%, DAF has grown to be Europe’s second largest brand in the heavy truck (16+ tonnes) segment. DAF Trucks is the European market leader in the important tractor-unit segment, with a market share of no less than 19.8%. The European market for trucks of 16+ tonnes amounted to almost 319,000 trucks in 2018 compared to 306,000 in 2017. “The European economy has been very strong over the past year. This resulted in a high demand for transportation with a corresponding requirement for trucks,” said Harry Wolters, President DAF Trucks. 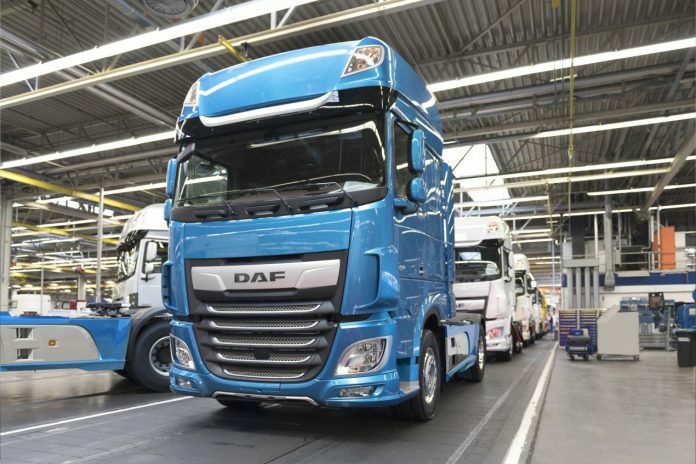 As in previous years, DAF was the market leader in the heavy segment in 2018 in the Netherlands (32.0%), the United Kingdom (26.5%), Poland (23.2%) and Hungary (32.6%). The Dutch truck manufacturer was also the market leader in Belgium (22.1%), Bulgaria (19.9%) and the Czech Republic (19.5%). In Germany—Europe’s largest truck market—DAF was once again the largest import brand, with a market share of 12.3%. in the heavy truck (16+ tonnes) segment.